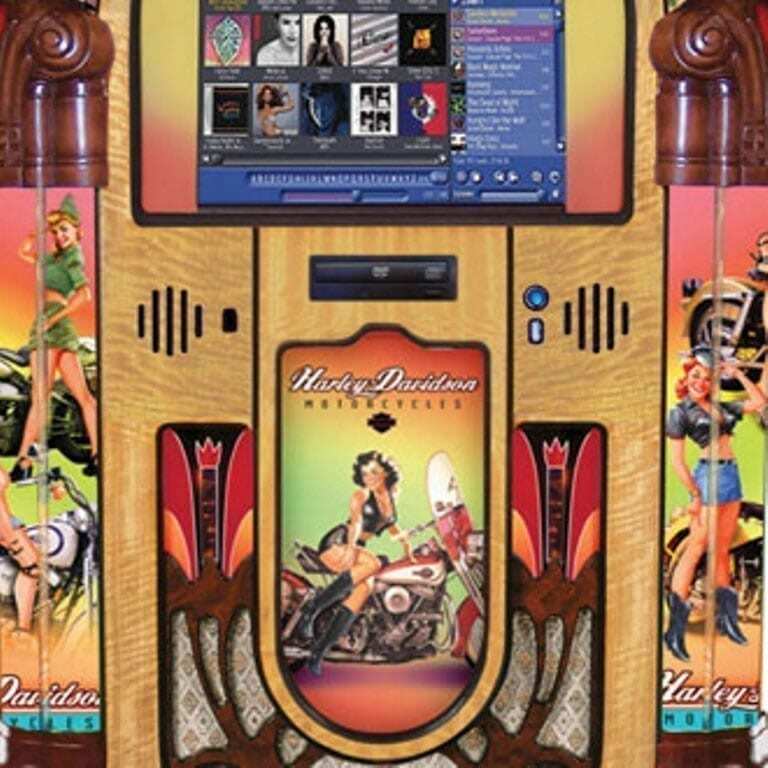 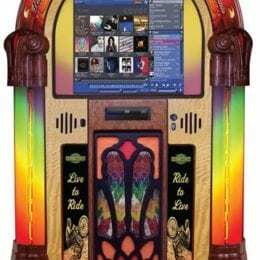 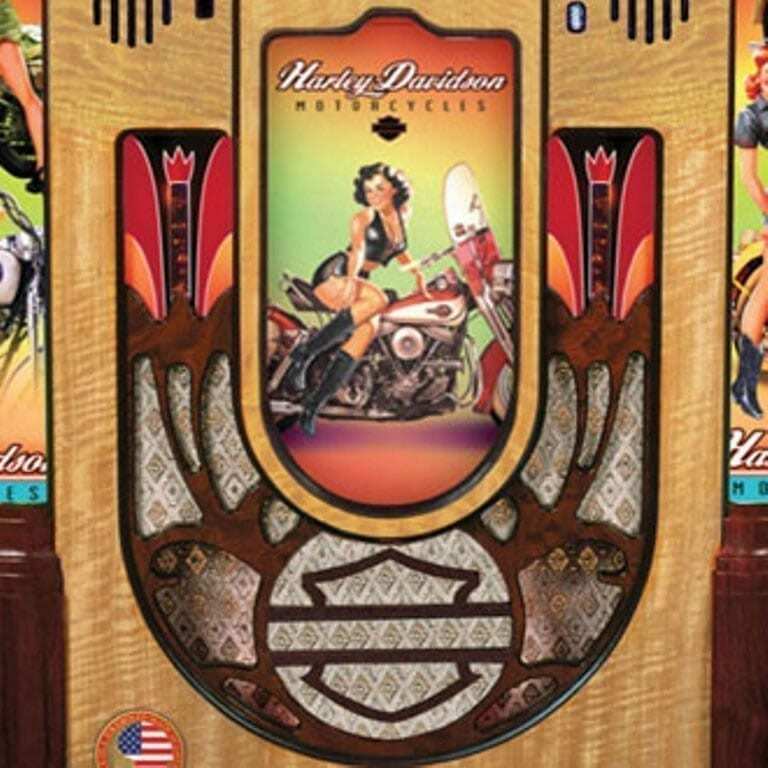 Rock-Ola American Beauty Music Center Jukebox features the original American Beauties- Betty, Dottie, Rita, and Ginny – and their classic Harley-Davidson® Motorcycles in a jukebox like no other. 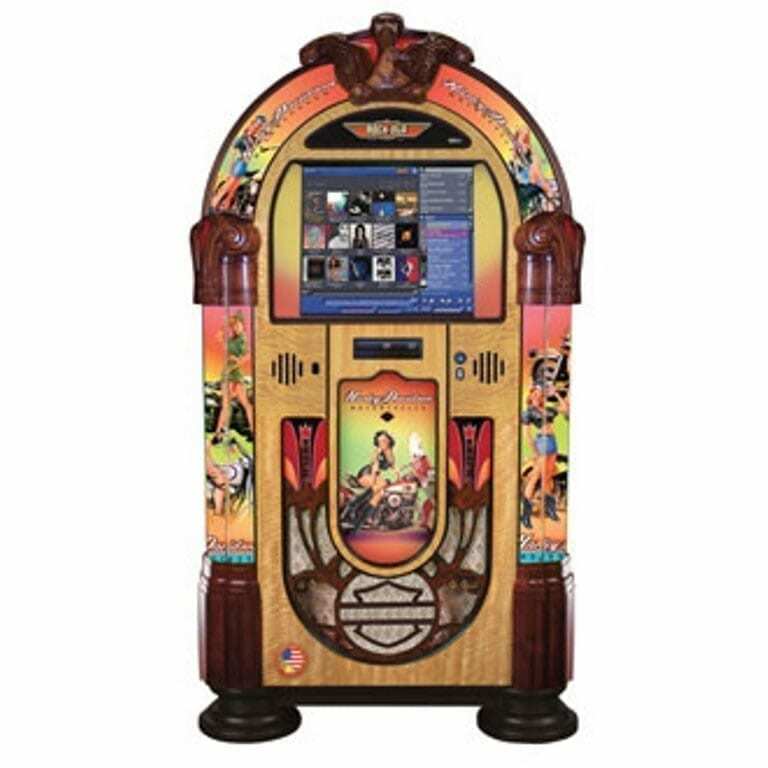 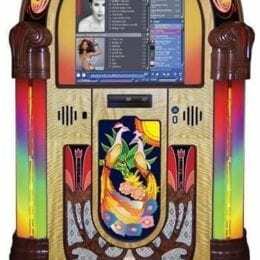 Distinctive 4-color spectrum bubble tubes, die-cast metal details, and custom carved eagle crown complete this impressive jukebox. 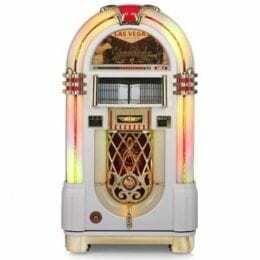 Offered in both 110V and 220V models.